Marketing is accountable for sales and revenue — but can you prove content and social media ROI? If you can’t, you’re not alone. According to The CMO Survey, social media spending is expected to climb to a 20.9 percent share of marketing budgets in the next five years. But few marketers can justify these escalating investments; only 11.5 percent of marketing executives can prove the business impact of social media quantitatively. A blind faith approach to investments in social media is more than just risky; it’s eroding marketing’s reputation in the C-suite. According to The Fournaise Group, 90 percent of CEOs “trust and value” work done by CFOs and CTOs. But CMOs? Eighty percent of CEOs admit they don’t trust or aren’t impressed with work done by marketers. This trust gap comes down to accountability. Too many CEOs view marketing departments as a cost center, not a business driver. To change this perception, the pressure is on to prove that marketing activities move the needle. From the leadership level on down, every member of the marketing team needs the ability to tie actions to business impact. And for far too long, the social media and content marketing function has been left out in the cold. At TrackMaven, our mission is to make it as easy as possible for marketers to make data-driven decisions. To that end, we’re thrilled to announce new capabilities to measure content and social media ROI. At last, you can now see the ROI contributions of every channel and piece of content in your marketing mix, including social media, blogs, email, earned media, and more. 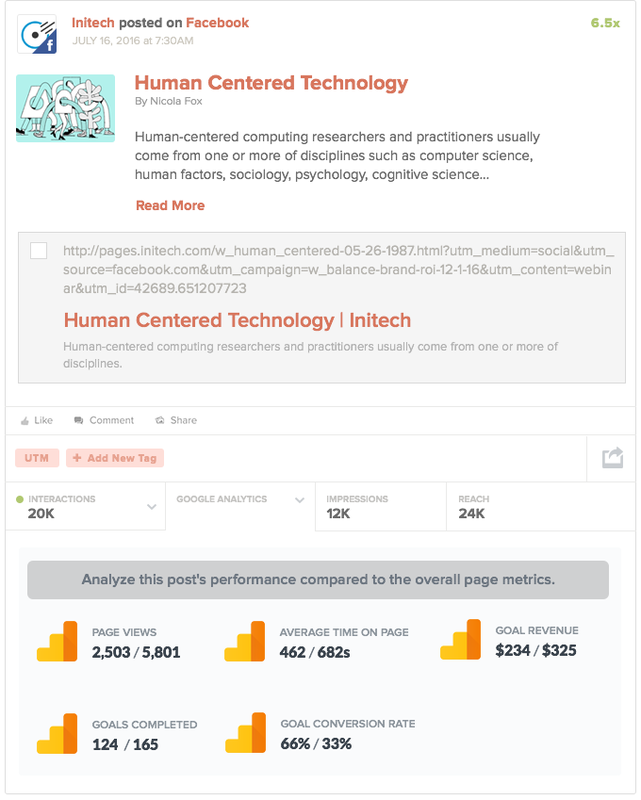 TrackMaven’s solution puts a dollar value on the impact of your team’s social media and content marketing efforts. As a result, marketing teams can justify their budget for social and content with clear business ROI. 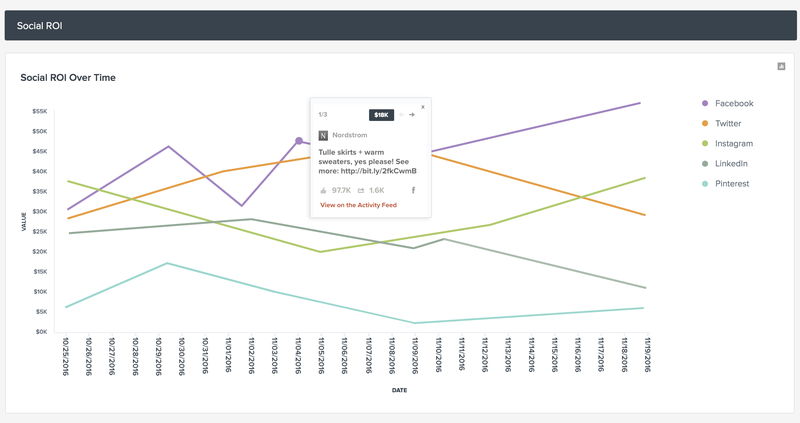 Here’s a preview of TrackMaven’s social and content attribution solution. Go beyond vanity metrics. Increase your impact by investing in the content, campaigns, and distribution channels that drive key conversions and sales. Do you know which pieces of content deliver results? Connect top-of-funnel interactions directly to bottom-of-funnel conversions on your website and landing pages. Compare performance across all of your digital channels. Base your strategy on real-time data, and optimize social spend based on results. Are Software Companies in a Social Media Bubble?